May we have the wisdom to trust in and follow the counsel of the living prophets and apostles. To complicate matters, gold had just been discovered in California. Some Church members envisioned that life would be simpler and more abundant if they were to move on to California in search of riches and a better climate. “[This valley] is the place God has appointed for His people. These were remarkable promises. Many Church members had faith in Brigham Young’s prophecies, while others remained skeptical and left for what they assumed would be a better life. Yet history has shown that every prophecy Brigham Young declared has come to pass. The valley did blossom and produce. The Saints prospered. The winter of 1848 was a great catalyst for the Lord to teach His people a valuable lesson. They learned﻿—as we all must learn﻿—that the only sure and secure road to protection in this life comes through trusting in and obeying the counsel from the prophets of God. Surely one of the crowning blessings of membership in this Church is the blessing of being led by living prophets of God. The Lord declared, “There is never but one on the earth at a time on whom this power and the keys of this priesthood are conferred.”4 The prophet and President of the Church today, Thomas S. Monson, receives God’s word for the entire membership of the Church and for the world. In addition, we sustain as prophets, seers, and revelators the counselors in the First Presidency and the members of the Quorum of the Twelve Apostles. With frozen feet and a barren wasteland, those early Saints surely needed faith to trust their prophet. Their very survival and lives were at stake. Yet the Lord rewarded their obedience and blessed and prospered those who followed His mouthpiece. And the Lord does the same today for you and me. This world is full of so many self-help books, so many self-proclaimed experts, so many theorists, educators, and philosophers who have advice and counsel to give on any and all subjects. With technology today, information on a myriad of subjects is available with the click of a keystroke. It is easy to get caught in the trap of looking to the “arm of flesh”5 for advice on everything from how to raise children to how to find happiness. While some information has merit, as members of the Church we have access to the source of pure truth, even God Himself. We would do well to search out answers to our problems and questions by investigating what the Lord has revealed through His prophets. With that same technology today, we have at our fingertips access to the words of the prophets on nearly any subject. What has God taught us about marriage and the family through His prophets? What has He taught us about education and provident living through His prophets? What has He taught us about personal happiness and fulfillment through His prophets? Trusting in and following the prophets is more than a blessing and a privilege. President Ezra Taft Benson declared that “our [very] salvation hangs on” following the prophet. He described what he called “Fourteen Fundamentals in Following the Prophet.” In the session this morning, Elder Claudio Costa of the Presidency of the Seventy so eloquently instructed us on these 14 fundamentals. Because they are of such great importance to our very salvation, I will repeat them again. “First: The prophet is the only man who speaks for the Lord in everything. “Second: The living prophet is more vital to us than the standard works. “Third: The living prophet is more important to us than a dead prophet. “Fourth: The prophet will never lead the Church astray. “Fifth: The prophet is not required to have any particular earthly training or credentials to speak on any subject or act on any matter at any time. “Sixth: The prophet does not have to say ‘Thus saith the Lord’ to give us scripture. “Seventh: The prophet tells us what we need to know, not always what we want to know. “Eighth: The prophet is not limited by men’s reasoning. “Ninth: The prophet can receive revelation on any matter, temporal or spiritual. “Tenth: The prophet may be involved in civic matters. “Eleventh: The two groups who have the greatest difficulty in following the prophet are the proud who are learned and the proud who are rich. “Twelfth: The prophet will not necessarily be popular with the world or the worldly. 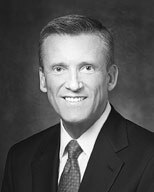 “Thirteenth: The prophet and his counselors make up the First Presidency﻿—the highest quorum in the Church. Brothers and sisters, like the Saints of 1848, we can choose to follow the prophet, or we can look to the arm of flesh. May we have the wisdom to trust in and follow the counsel of the living prophets and apostles. I am a witness of their goodness. I testify that they are called of God. I also testify that there is no safer way to approach life, find answers to our problems, gain peace and happiness in this world, and protect our very salvation than by obeying their words. I bear this witness in the sacred name of the Lord Jesus Christ, amen. Brigham Young, as quoted by Wilford Woodruff, in The Utah Pioneers (1880), 23. See Bryant S. Hinckley, The Faith of Our Pioneer Fathers (1956), 9–15; see also Gordon B. Hinckley, “Remarks at Pioneer Day Commemoration Concert,” Ensign, Oct. 2001, 70–72. See Hinckley, The Faith of Our Pioneer Fathers, 11–12; see also Ensign, Oct. 2001, 71. Ezra Taft Benson, “Fourteen Fundamentals in Following the Prophet,” in 1980 Devotional Speeches of the Year (1981), 29–30.